If you are an individual or a member of an organization dedicated to increasing outcomes of underrepresented populations, Socialworkhelper.com Online Social Work Magazine and Professional Networking Community is the right place for you. This online place has been designed to connect like minded practitioners and students around the globe to help their collaboration and support for one another. If the field of your interests is social work, human services, mental health and similar help professions, this is the right place for you to create your user account and be in touch with other existing organizations and experts of the same interests. What we like the most about SocialWorkHelper.com is that they launched a Mobile Web 2.0 technology and this way they enhanced the experience of users either from their smartphone browser or as a mobile app for Android and Apple iOS gadgets. As a user you can create blogs, forums, groups and events, but you can also upload photos and videos or import blogs. This app is completely free and it can actually help your cause and promote your story. Available on Apple Store, application is compatible with iPod touch and iPhone and it requires OS 2.2 or later, 3G network connection or WiFi. Android app on Google play requires Android 2.3 and 3G, Edge or WiFi connection. 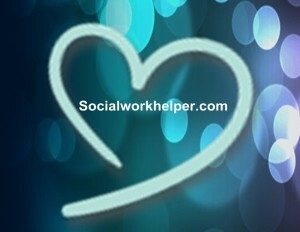 SocialWorkHelper.com users are from United Kingdom, Australia, United States, India, New Zealand, Bangladesh, Guam, Germany, Finland etc. In order to help and encourage communication between community members from these countries, this professional network community incorporates a language translator. If you are interested in improving the quality of life of the underprivileged and poor citizens, downloading SWHelper app and joining this network will be a small and simple step with a great outcome.